FOR the third year in a row, Toowoomba's signature event the Carnival of Flowers has won gold at the Australian Tourism Awards for the nation's top festival. 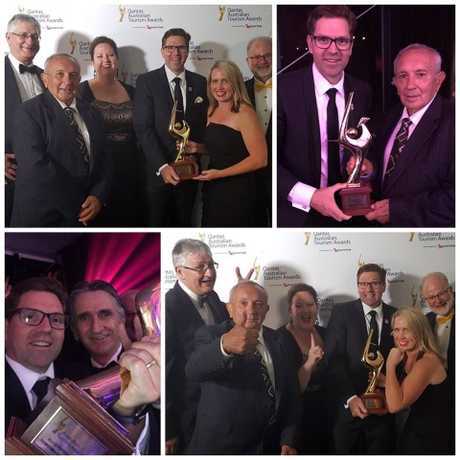 The win, announced at the awards ceremony in Launceston at the weekend, also saw our carnival inducted into the coveted National Tourism Hall of Fame - Queensland's first inductee in a decade. Cr Geoff McDonald who was among Toowoomba's delegation to the awards night said the achievement was "huge" but also recognition for all those who had been a part of the carnival over the past 70 years. "Being inducted into the Hall of Fame is a huge result but it's just as important to acknowledge those who have been there in the past, this is not just about this year," he said. "It's been going 70 years this year and in that time it's involved thousands of volunteers, it's a credit to the brainchild 70 years ago of Essex Tait (founder of the carnival). "But it's (the awards) marvellous and being in the middle of this drought it is a real shot in the arm for the region." Cr McDonald said to win over such huge events like the Australian Grand Prix was remarkable. 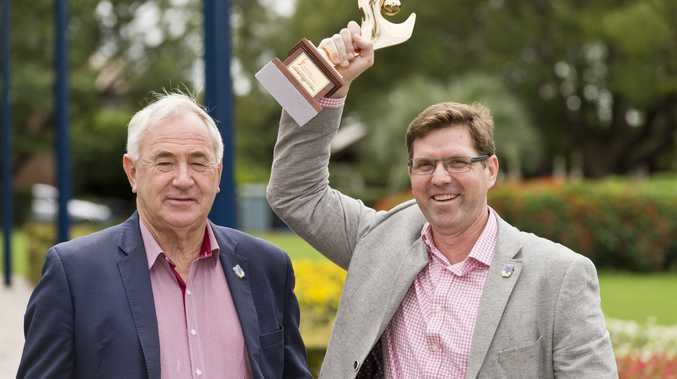 The award would also once again lift Toowoomba's profile nationally and internationally, he said. "Firstly, to get publicity like this that you don't need to pay for is fantastic. "Secondly, it encourages you to look at how you can improve the event even more. Do you attend the Carnival of Flowers each year? "The pressure is always on but it's pressure that we enjoy. "Thirdly, and it's a reminder that the locals should never be forgotten. "Those folk who enter The Chronicle Garden Competition are just as important as the visitors who come to see their gardens. "Without them people wouldn't come here and they know they are a part of the best event in Australia."